Thanksgiving comes with a cloud of pie crust angst. Everyone seems to struggle with this age-old basic pastry. Fillings are easy, but the crust sets off alarms. Having rolled hundreds if not thousands of pie shells over the decades, I really can’t understand what all the fuss is about. We’ve forgotten that time was when everyone made pie. It was one of America’s most basic meals: a chicken pie for supper, cherry pie in summer and George Washington was known to have apple pie and cheddar cheese almost every day for breakfast. Grandmothers took a few fistfuls of flour, a pinch of salt, a dollop of fresh lard, and without batting an eye brought a dough together with a sprinkle of water. “Easy as pie. . .” And it’s still easy; it just takes some practice. There’s not a magic formula. No need to add vodka, vinegar, eggs, extra quantities of butter. It’s basically flour, fat and water. Stay cool, and keep your ingredients cool. A couple of weeks now set the stage for you to give pie crust a chance. Let’s stay away from pre made shells that use lower quality ingredients than you will at home. Commercial pie shells often include preservatives that interfere with the taste. Remember, “easy as pie,” you can make it better yourself. A few pointers to keep in mind: if possible use a scale to weigh the flour and the fat. A small digital scale is inexpensive and will change your cooking life. It’s faster, more accurate and you’ll soon use it for all baking and cooking. Secondly keep your butter, shortening or lard COLD. Don’t hesitate to use enough cold liquid to bring your dry ingredients together. And finally let your dough rest. 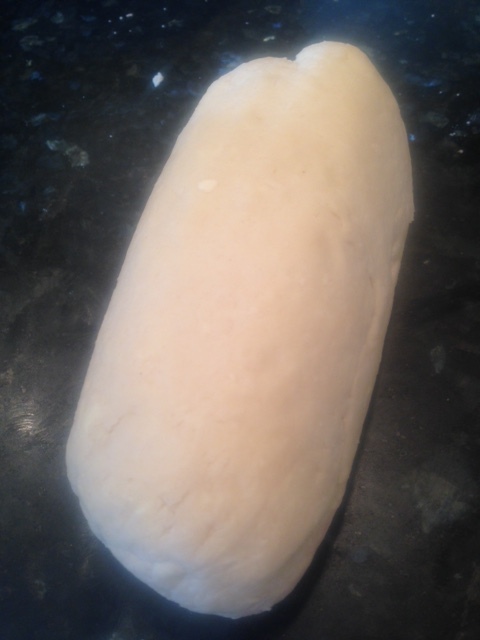 Let it rest when adding the water in hand made dough, and let the finished pastry rest several hours before using. Resting allows the flour to absorb moisture and to relax the gluten. 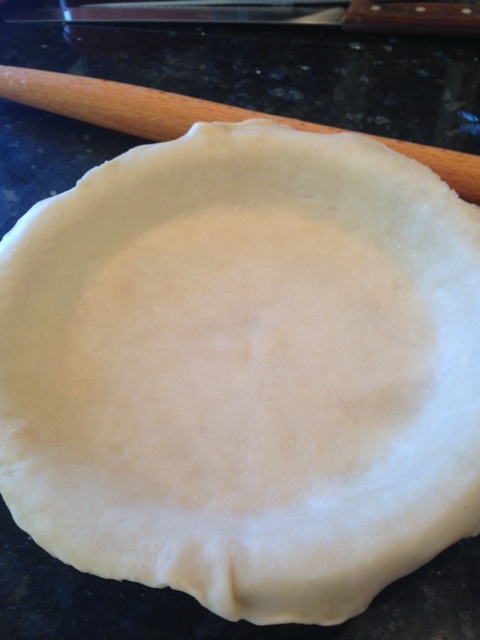 Cool, relaxed pie pastry should roll out as easily as a smooth piece of fabric. If you need practice, divide the recipe below in half and work with smaller amounts. To use the same pastry for savory pies or quiches, omit the sugar. Keep calm, make pie, bring back a forgotten skill this Thanksgiving. *Buy kettle-rendered white lard from a meat market; avoid shelf-stable lard modified with preservatives. Good lard makes tender, flaky crust and is worth seeking out. 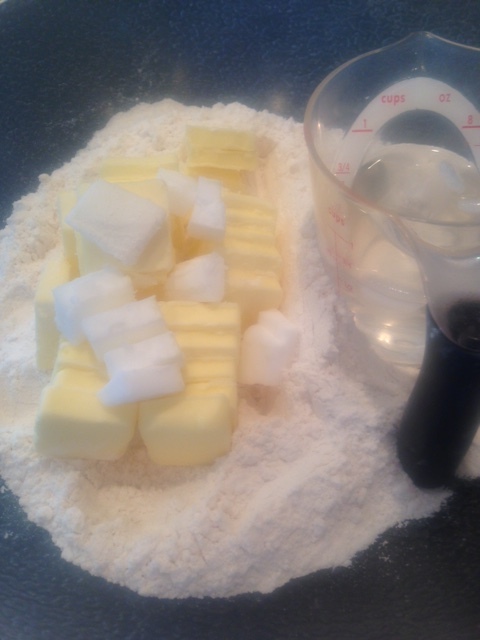 To make pastry in a processor, place flour, sugar and salt in work bowl. Process just to combine. Slice over the cold butter and lard; process on and off three or four times until the butter is flaked into small pea-sized pieces. With the processor running, steadily pour the ice water in through the feed tube and continue to process until pastry rolls into a ball. Remove from work bowl, rock into a thick log. Wrap and chill at least an hour or two. You are currently browsing the Mary Jo's Kitchen blog archives for November, 2016.